Over the past few weeks, it’s been impossible to watch or read any financial news without being confronted by Bitcoin. At the time of writing, the world’s most famous cryptocurrency has seen a meteoric rise in value, up 161% ($10,567) in the last month alone. People are starting to take notice. Whether or not you believe the whole cryptocurrency thing is a bubble or that something you can’t hold in your hand can’t possibly be worth that much, the technology is here to stay. That technology is, essentially, blockchain. We’ve written recently on the potential that blockchain technology holds for the travel industry. Today we’re going to focus on the concept of a digital currency. How could this make travellers’ lives easier? How could travel companies benefit? And what developments are already underway in this space in the industry? Could the travel industry’s early adopters of cryptocurrencies benefit in the long run? If Bitcoin and its fellow digital alternatives are to move from the status of speculative vehicles to real-world game changers, they are going to need genuine use cases. As Bitcoin has grown more popular with investors, a few obvious weaknesses have come to the fore. These include the amount of sheer power needed to run the network and a lack of scalability options. This means that Bitcoin has moved beyond being a medium of everyday transaction, and is now more seen as a store of value: digital gold, if you will. But blockchain, Bitcoin’s underlying technology, can be deployed in different ways – something proved by the various alternative cryptocurrencies gathering momentum in Bitcoin’s wake. But let’s start with considering why travellers and travel businesses might choose to take a leap of faith into the unknown world of cryptocurrencies. In a few short years, a technology could come to the fore that will release international travellers from the woes of currency exchanges, carrying large amounts of cash on hand, withdrawal fees and fraud. Decentralised ledgers, digital wallets and frictionless transactions could be the future. These are the founding tenets of cryptocurrency. We know that Bitcoin is on the rise in terms of value, alongside other currencies such as Litecoin and Ether, the token used on the Ethereum blockchain platform. But importantly, we’re seeing this rise in value correspond with a rise in retailers and brands accepting cryptocurrencies as a form of payment. As these digital currencies emerge as a genuine alternative to conventional banking and fiat currencies, their benefits are becoming accessible to ordinary people around the world. One of those benefits is the ability to transfer money to another individual or company, without needing any kind of middleman. Bitcoin, Ether, Ripple, Litecoin: All can be sent between users without any banks or payment service providers charging a commission for the transaction. Having said that, a small fee is paid for every transaction to miners (or destroyed in the case of Ripple), whose computing power has to solve a complex puzzle in order to confirm new entries on the decentralised ledger. So cryptocurrencies are not free, but to differing extents, all can move money around at a fraction of the price of conventional companies such as Paypal and Swift. They also tend to be faster, which goes some way to explaining why Ripple (XRP) is seen as Swift’s biggest competitor moving into 2018. So that’s speed and fees covered. The whole point of cryptocurrencies is that they are founded on cryptography, puzzles that only computers can work out. Every transaction is also recorded on a decentralised ledger. There is no single point of weakness in the network, no vault that can be cracked. The mining community (or more accurately, their computers) confirm and record every transaction on the blockchain. Currency movements are recorded in hash functions with timestamps so that the data cannot be changed or tampered with. It’s this reason that blockchain technology is offering all kinds of industries ways to enhance security and prevent fraud. And finally, we come to accessibility. Did you know that a recent report from Mastercard found that over 130 million people in Europe have no access to traditional banking services? Sure, some of us take banks for granted, but that’s not the case for everyone. On top of that, a lack of trust has developed between the public and the financial sector. Conventional banks are seen as profit-driven, not people-driven, and responsible for global economic problems. In that environment, the emergence of digital currency far from the reach of major institutions is attractive. What does all of this mean for the travel industry? Okay, we’re finally getting to the focus of this piece. How will cryptocurrency and all of its benefits impact the travel industry? Established players in travel and tourism are already embracing the opportunities Bitcoin and alternative cryptos have to offer. Let’s take a look at some recent examples. Although more blockchain than cryptocurrency, Fritz Joussen, CEO of industry giant TUI Group, recently outlined the firm’s belief that Blockchain technology would become a fundamental part of business in the next decade. He also revealed that the company has launched its own project based on the technology called BedSwap. The system allows TUI to move its hotel inventory to different points of sale depending on the demand. And then there’s another industry heavyweight, Expedia.com. The OTA introduced the option for customers to make Bitcoin payments for hotel bookings halfway through 2014. It’s a matter of time before flights and other major purchases are also available to cryptocurrency holders. Across the Pacific, Japan’s HIS Co Ltd recently announced compatibility with Bitcoin for payments. The company started by launching the payment option at 38 of its stores in Tokyo. The aim is to increase the number of participating outlets further. As part of the move, the company offered special bitcoin tour packages. That’s a few examples of industry giants taking cryptos seriously. Smaller agencies are doing so, too. Take Malta’s Bitcoin Adventures. Originally set up to raise the profile of Bitcoin in Malta, the slightly strange company’s first customer was a Japanese tourist who arranged a three-night stay paying with cryptocurrency. Thailand has had an up and down relationship with Bitcoin, banning it in 2013 only to reverse the decision a year later. Plenty of the country’s tourist hubs have embraced the currency, including the Pattaya Beer Garden, which sees major benefits of accepting Bitcoin, including a lower risk of credit card fraud. Another travel startup, UK-based TamTam Travels, has an interesting business model based on cryptocurrency and blockchain technology. The company’s membership portal offers discounts on benefits and services around the world. As part of a pre-launch last year, the blockchain travel startup offered discounted packages on memberships, with additional rewards of its ‘native’ blockchain currency – called the JIO Token – for purchasing memberships. TamTam Travels accepted a number of cryptocurrencies for its launch including Bitcoin, Dogecoin, Ether and Litecoin. Our final example comes from TripAlly, a travel/tech startup using cryptocurrency to end the financial pain of international roaming. Instead of paying a fortune for local data, TripAlly aims to provide mobile internet without borders. How? The startup will provide their service as a mobile application that will allow you to access foreign mobile networks for data. Hooray. But what has that got to do with cryptocurrencies? Well To raise funds to get the company off the ground, TripAlly held an ICO, an Initial Coin Offering; a crowdfunder with the cryptocurrency community. In return for donations, backers have received Ally tokens, which can be spent on the roaming service provided by the company. In the past few weeks, cryptocurrency trading application CoinBase has been one of the most popular apps across Android and Apple download charts. This is not just because people are seeing cryptos as speculative vehicles. It’s also because the technology promises a new way of doing things. With that in mind, it seems inevitable that cryptocurrencies will become a more common part of our day to day lives. Some of these digital currencies have been around for a while, too. Bitcoin came to light in 2009, yet it still comes as news to many. It’s been a slow journey, but Bitcoin and other Alts are gathering momentum. The world of travel appears to be open to working with the concept of digital money. The blockchain technology at its foundation is already revolutionising all kinds of processes. Mass adoption is on the horizon. So perhaps the travel industry’s early movers will reap the rewards when cryptocurrencies become the norm. The travel industry does not exist in a bubble. It is not independent of the social and economic factors pushing society one way and another. And neither should we expect it to be. Although a huge driver of travel is to escape the reality of our day to day lives, our ability to do so depends on a few fundamental factors. Many current millennials (roughly people aged between 20 and 35 right now) are facing a battle of priorities, a dilemma that their parents never had to consider: A choice between home ownership and travel. Are millennials forgoing home ownership for travel? In many countries around the world (and particularly in major capitals) home ownership is a distant dream for members of the millennial generation. Take London as an admittedly extreme example: First-time buyers currently have to come up with on average £90,000 ($120,000) for a deposit on a home in the UK capital. The competitive rental sector, rising student debt and a difficult jobs market are forcing long-term plans to take a back seat. So with owning their own place becoming less likely with each passing day, it appears as though many millennials are making an active choice to live for now and to concentrate on the moment. And that’s fair enough. Why not spend on travel? Especially when putting down roots somewhere is so far in the financial distance. We can’t say for sure that millennials are putting off home ownership to travel. But we can say that they are spending more on travel in spite of the home ownership issue. In fact, millennials globally are fast becoming the most influential spending power in the world of travel. 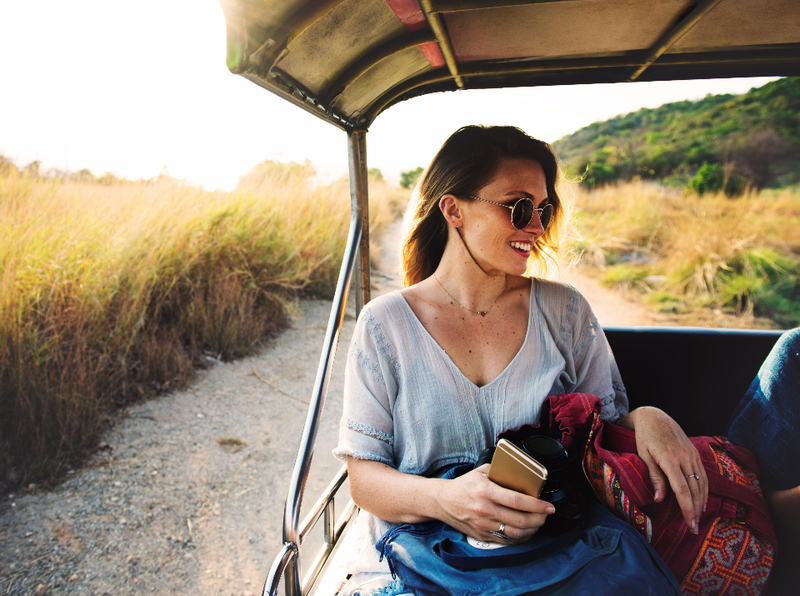 According to Donna Jeavons, sales & marketing director for millennial travel specialists Contiki, there’s been an upward trend in younger people spending money on travel. This year, Contiki saw a 10 percent rise in the average spend of clients aged 18 to 35. That could be because saving for something significant like a property seems so futile in the current climate. “I think the urgency for buying a house is no longer there,” she told The Independent. “The cost of buying – in particular the deposit –can make it prohibitively expensive for many young people at this stage in their lives, so saving can feel like a fairly futile exercise. Also speaking to The Independent was Chris Townson, managing director of U by Uniworld, the company behind the “millennial cruise” launching in April 2018. He said that the trend is an understandable result of a broken housing market – in many ways, it’s millennials putting two fingers up to the system they find themselves in, a refusal to not enjoy themselves despite the circumstances. “Property ownership is out of reach for many young people at this stage in their lives, so we are seeing more investment in travel and life experiences as a definite trend,” he said. “With home ownership out of reach for many young people, this money is being invested in taking more, and better quality travel experiences. The economics are tough, but what else has changed? The shift in millennials’ attitudes towards travel is about more than just the struggle for home ownership. What other factors are driving the increase? To understand why travel has become an essential part of most millennials’ lives, you need to understand the mindset. This is arguably the most globally minded generation ever. It’s also grown up in the most connected period of human history. The other side of the world is no longer far away from a digital perspective, so millennials are less likely to see barriers where their parents might have. They are also far more likely to be influenced and inspired by their peers. Ninety-seven percent will post their travel experiences on social media, according to Internet Marketing Inc research. Adventure tour operator G Adventures recently conducted a survey of their millennial travellers in order to study their habits. In the eyes of millennials, travel is not seen as an indulgence. “Today, it’s acceptable to go out and see the world before settling down – in fact, it’s very much encouraged as it helps you develop a lot of life and work skills,” said Jeavons. If we break down the choice between saving for a house and going on an adventure, what are we left with? Clearly this is a question of the material versus the experience. We already know that millennial travellers are more interested in authentic, memorable experiences than 5-star hotels and home comforts. Perhaps it’s just a logical step that a week or month long adventure on the other side of the world would be more appealing than setting money aside for a deposit. There’s no doubt about it: part of the reason that travel these days is seen as less of a luxury is because it’s now affordable for the majority of people. The cost of travel is falling with the rise of no-frills airlines, package holidays and last minute deals. There is also a huge range of trips emerging to cater for every possible taste and niche market, from foodie travel to spa getaways and romantic city breaks. With lower prices and more personalised trips available, millennials’ addiction to travel is being encouraged. Let’s face it: A generation of monied millennials willing to spend on travel is a wonderful thing for OTAs and travel service providers. Here at Travelshift we pride ourselves on powering marketplaces that are different. Our partners don’t simply list travel operators and hope for the best. They are empowered to build a thriving community of travellers, locals and guides – all of whom come together to ensure that trips are as authentic and memorable as possible. Our marketplace solution is scalable, with a mass of embedded features to help you entice travel operators and quickly gain a foothold in your target niche. Want to look closer at our track record? Check out our Iceland case study today. Having community-driven content as a built-in feature of our travel marketplaces enables our partners to provide the authenticity millennials are seeking. What are you waiting for? Contact us about setting up your own travel marketplace today.